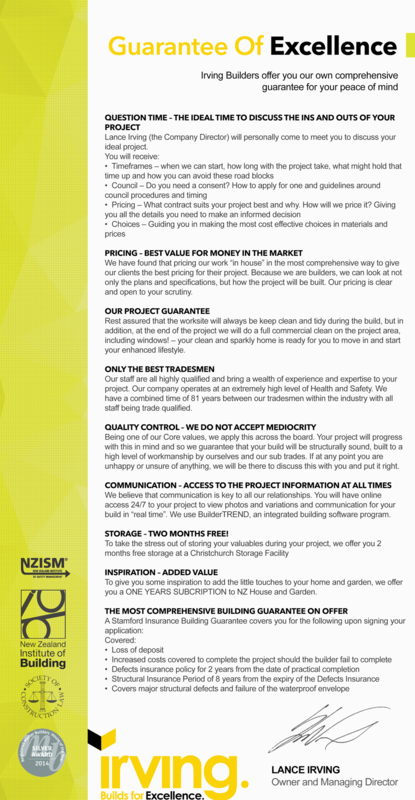 Irving Builders Personal Guarantee - Home Renovation and New Build Specialists - Call Us Today (03) 318 1770 to book in your free consultation. Wanting your own Comprehensive Guarantee for Peace of Mind? 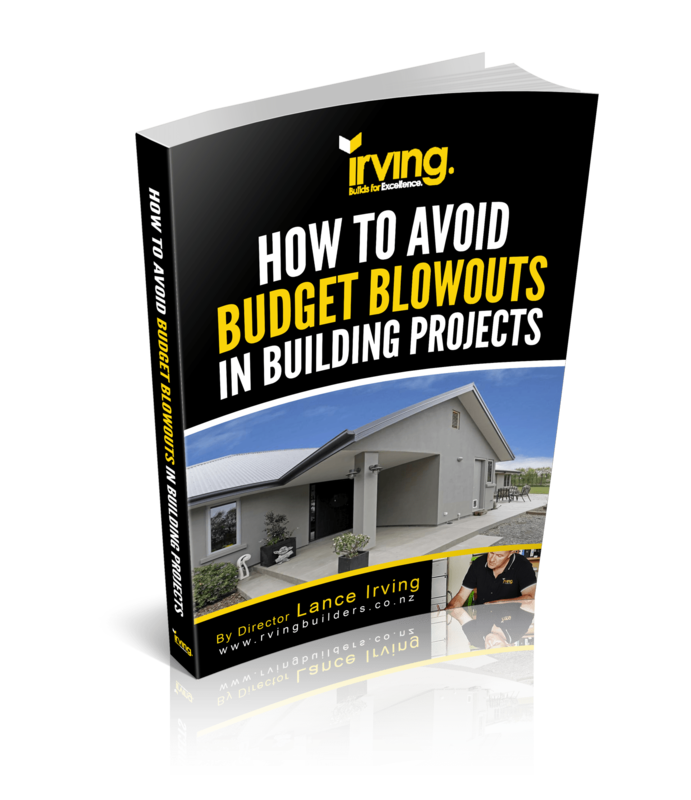 Learn how to avoid budget blow-outs but following simple steps during the project process, written by Irving Builders owner Lance. Subscribe to Irving Builders monthly newsletter to keep up to date with the latest news and trends. 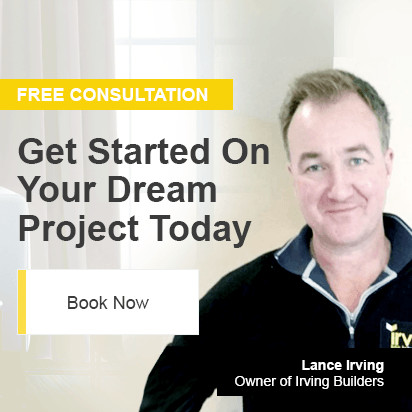 Irving Builders philosophy is to work tirelessly with their clients and contractors on a personal and hands on level, to ensure a true collaboration of personal requirements – high quality workmanship is always achieved.